In every city there are secret and often surprising places hidden behind closed doors. Bordeaux is no exception and a few weeks ago Invisible Bordeaux again joined forces with the guys behind the Bordeaux 2066 blog (the French-language version of this article can be found on their website here). Together we enjoyed a private tour of one such gem, to be found at the end of a tiny alleyway just off Cours de la Marne, the busy street that connects Place de la Victoire and Saint-Jean Railway Station. 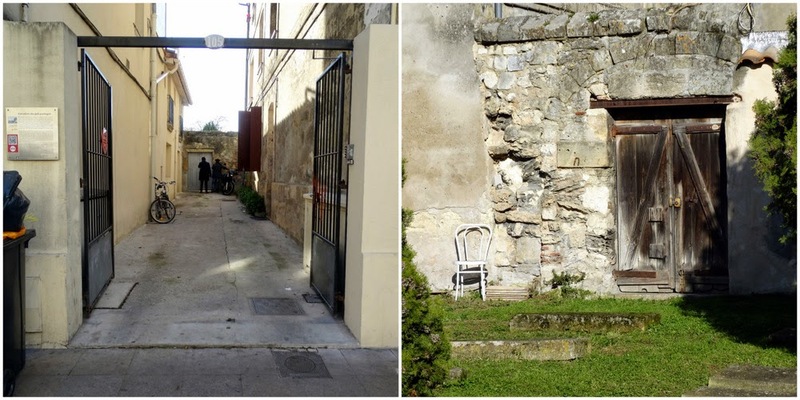 For it is here that lies, behind a door that is usually locked, the 18th-century Portuguese Jewish cemetery of Bordeaux. The person providing the tour (and the key to the door) was none other than writer, journalist and broadcaster Michel Cardoze, known to many as a former TF1 weatherman but best-known to myself and my Bordeaux 2066 friends as the man who delivers “l’histoire du jour” every morning at 7:55am on Radio France Bleu Gironde. 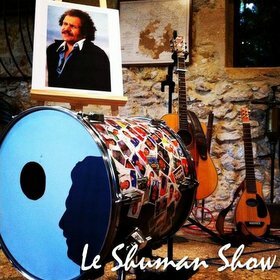 In his short monologues, Cardoze glides effortlessly through some of the most amazing tales from Bordeaux and beyond. It is essential work commute listening and we were therefore excited to be meeting up with this renowned local authority. 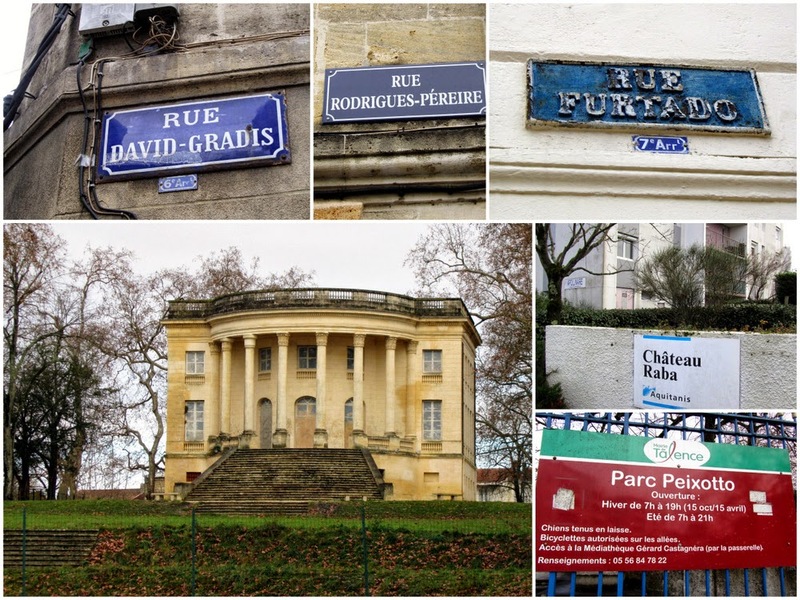 We soon established that the place we were visiting is of special significance to him, because his family descends from the many Portuguese Jewish refugees who settled in Bordeaux after being banished from their homeland, and his surname features on gravestones here. The alleyway and the small door to the cemetery, as seen from both sides. The cemetery dates from the 18th century, by which time the Portuguese Jews in the city numbered some 327 families (1,422 people), the first having arrived towards the beginning of the 16th century. The land had belonged to David Gradis (1665-1751), a wealthy trader and ship-owner. He had acquired it in 1724 before bequeathing it in 1728 to the Portuguese Jewish community, which he presided. The plot was then used to bury the community’s dead throughout the remainder of the century, becoming the final resting place for around 800 people, across 17 neatly aligned rows of graves. The last body to be buried was that of one David Lameyra in 1788. By then short of space, the community turned to a new plot located on what is now Cours de l’Yser (formerly Cours d’Espagne). That cemetery remains operational. A panoramic view of the cemetery. Nothing much was to change until 1911 when a neighbouring artillery unit, in need of expansion, requested part of the land in order to store munitions. The Jewish consistory had little option other than to acquiesce, and the remains of 279 bodies were dug up and transferred to the Cours de l’Yser cemetery. The excavated tombstones were gathered together and unceremoniously left as-is in a part of the graveyard which was not needed by the unit. 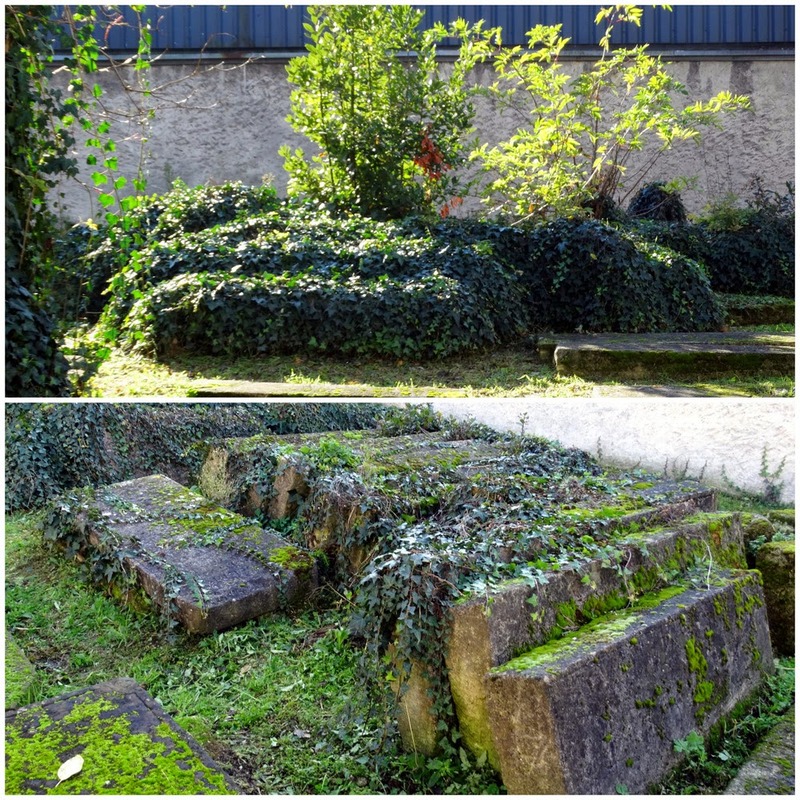 Today though, the cemetery is unlikely to evolve any further: in 1995 it was registered (along with the Cours de l’Yser cemetery and another small plot on Rue Sauteyron) as an historic monument. The plot still belongs to the Jewish consistory, but as Michel Cardoze points out, “is regularly tended to by the city of Bordeaux, with whom the relationship is very good”. 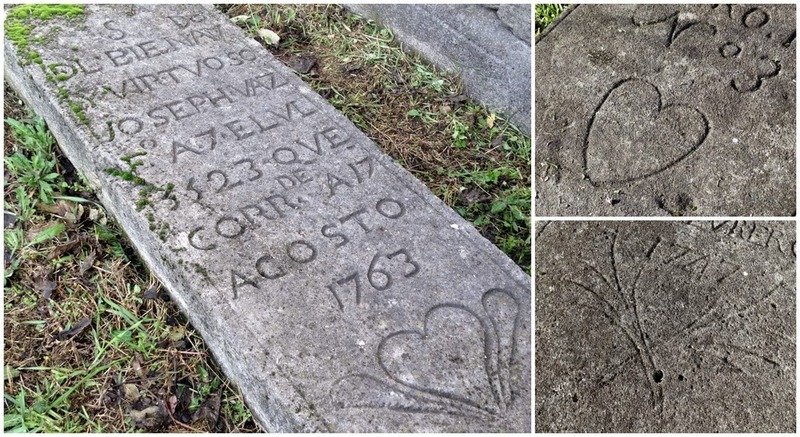 Touring the graveyard, he is quick to underline one of the most curious features of the graves: many of the tombstone inscriptions include hearts and palm leaves! “We have no explanation as to why that should be. Theoretically, on Jewish graves there should be no signs or symbols, yet here these are recurring motifs.” Michel adds that many of those buried here were a blend of cultures and this may be sign of this: “The locally dominant culture, Christianity, penetrated many facets of these people’s lives. There were therefore many mixed marriages, and a lot of Jews concealed their origins while continuing to observe Jewish rites in private.” This cultural melting pot also explains why on many gravestones the year of death is often indicated as it was according to the Hebrew calendar alongside its Gregorian-calendar equivalent. Hearts, palm leaves, and sometimes both. Note the year of death according to both the Hebrew calendar (Elul 5523) and Gregorian equivalent (August 1763). You can check whether it's correct here. We walk over to one corner of the yard where a number of raised, prism-shaped graves have been erected for the community’s rabbis. The rabbis had been drafted in from abroad (Netherlands and the Middle East) to provide structure and guidance to people who had hitherto lacked any form of leadership. The inscriptions are dense lines of Hebrew, unlike other graves which are a surprising mix-and-match of French, Portuguese and Spanish. 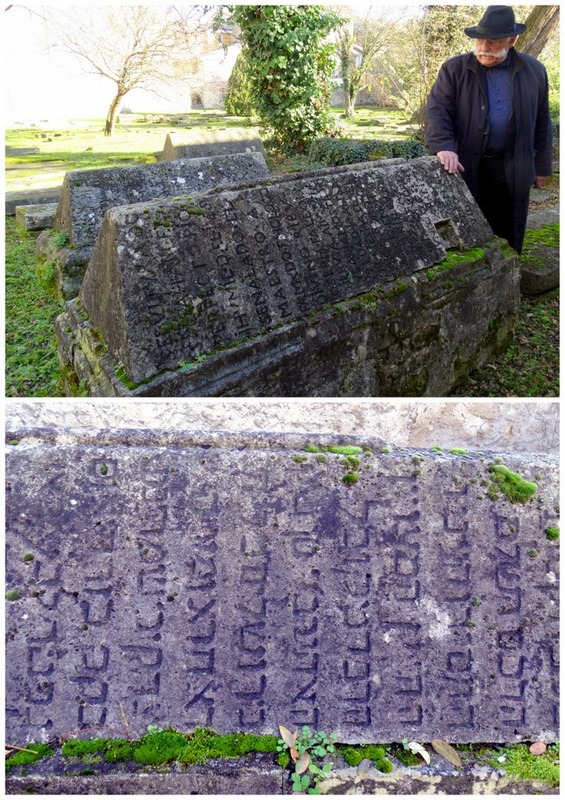 Michel Cardoze inspects one of the Rabbi's graves, complete with dense Hebrew inscriptions. The tombstones which were excavated in 1911 haven't moved in the intervening century. Those adjacent buildings include what may be part of the neighbouring Lycée Gustave-Eiffel, a small industrial plant, and a student hall of residence whose occupants enjoy an unobscured view over the graveyard. But, tell us Michel, who else gets to see beyond the locked door these days? “Virtually nobody comes solely to pay homage to the deceased. The Office de Tourisme brings groups here as part of a Cimetières de Bordeaux circuit. Visits are also organised by the Jewish consistory upon request. And a team of volunteers can often be found here, painstakingly rubbing moss off the gravestones and recording the names and details of those who are buried in the cemetery.” The sight of abandoned beer bottles in one corner would suggest there may sometimes be other illicit visitors who find their way onto the premises. Our VIP guide Michel Cardoze, Bordeaux 2066's Vincent and, yes, a gravestone. Pictured above are Rue David-Gradis, celebrating the trader and ship-owner who first acquired the land which became the cemetery; Rue Furtado, after Abraham Furtado, influential in the organisation of the consistory and deputy to the mayor of Bordeaux; Rue Rodrigues-Pereire, which celebrates a man who conceived an early form of sign-language for the deaf, and whose grandson Émile Péreire was one of those responsible for the railway line to Arcachon and the resort’s initial development; Château Peychotte in Mérignac, also known as the Maison Carrée; Cité "Château Raba" in Talence, harking back to a family of bankers; Parc and Château Peixotto in Talence. All of the above, in their way, have become permanent and prominent fixtures in the public domain. Meanwhile, the Cours de la Marne cemetery remains far less visible, so what a privilege it was to visit it on that sunny December day. Read the French-language version of this article on the Bordeaux 2066 website here. A big thank you to Michel Cardoze for taking the time out to meet Vincent, Pierre-Marie and myself and show us around the cemetery! Great article! I had no idea this cemetery was there. Thank you for making us discover our own city! My pleasure Karine, and thanks for that kind feedback. 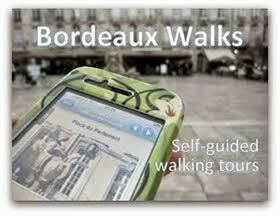 It's amazing how many "secret" sights there are in Bordeaux, isn't it? Thanks for this beautiful post, this place looks very interesting to explore more.